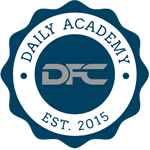 Welcome to the MLB Daily Academy. 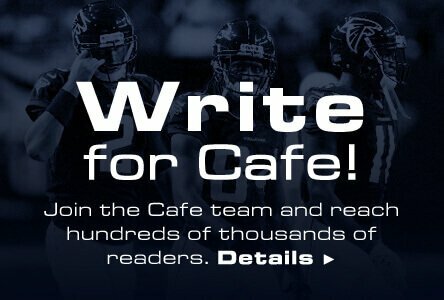 This section of Daily Fantasy Cafe will feature beginners content as well as more nuanced content analyzing strategies in great detail such as stacking, cash game roster construction, GPP roster construction and picking hitters and pitchers based on the daily fantasy game provider you choose. This is your introductory piece, though, and the most important part of daily gaming is research. Baseball has a wealth of statistical information available. There are a number of sites with information ranging from MLB.com to others such as FanGraphs, Baseball Prospecuts, Baseball Heat Maps, Baseball-Reference and Brooks Baseball. Being overwhelmed is an understandable response. I'm going to breakdown the process I've adopted to researching MLB daily contests. I choose to check MLB's official website for probable starting pitchers because they seem to be the quickest to adjust when there is a surprising scratch. All major fantasy sports sites also provide probable starters, so you can look elsewhere if you prefer. Pitchers are the headliners for daily game teams, but knowing who is starting is also imperative when determining which hitters to pick. Basically, you can't do useful research without knowing which pitchers are starting on a given day. There is a more in-depth section discussing Vegas lines in the MLB Daily Academy, but for the purpose of this article I'll mention that knowing the betting odds and totals is incredibly important. Pinnacle Sports is considered by many to be the sharpest sports book, so they are my go-to source for betting lines. The quick and dirty explanation is that you should be figuratively circling high or low over/under run scored totals. Low totals warrant digging into deeper to determine if the pitchers are good plays, and high totals are a strong indicator of a favorable matchup for picking hitters from. Also, teams that are sizable betting favorites often provide the best pitching options in daily games since wins generate fantasy points. Our cheat sheets have the most important park factors included, but digging deeper and looking up more park factors is a great decision for serious daily gamers. StatCorner is my go-to site for park factors. They use a rolling three-year average and break the park factors down for lefties and righties. The most important park factors are homers and runs. The park factors for doubles/triples can also be useful. After roughly a week of park factors research you'll recognize which parks are hitter friendly and which are pitcher friendly. You'll see a correlation between park factors and Vegas betting totals. For instance, Coors Field in Colorado is an extreme example of a hitter-friendly park. The highest betting totals will be found in games played at Coors Field. Conversely, low betting totals will be commonplace when games are played at Petco Park in San Diego. Alright, you already know who is pitching. Pitcher analysis now turns to looking up their splits. It is typical for right-handed pitchers to struggle more with left-handed hitters, and vice versa for left-handed pitchers. Some pitchers have a very small platoon split, while others are dominant against same-handed hitters and struggle mightily with opposite-handed hitters. Picking on pitchers who struggle with a certain handedness of hitter is a must and can create some great bargain picks and unexpected stars. A perfect example is lefty Joe Saunders. He's terrible against right-handed hitters, and I target him when he starts. The best stat to use when analyzing pitchers is wOBA allowed. And I tend to use three years of data to eliminate some small sample size issues. By analyzing pitcher splits on a daily basis, you can sometimes find a unique case of pitchers who are actually worse against hitters of the same handedness. Dan Haren is a good example. *If a pitcher has been with the same club over multiple seasons, home and road splits are also worth digging into. Like with pitchers, hitters tend to fare better against opposite handed pitchers (i.e. righties hit lefties harder). Some hitters have extreme splits, though, and those hitters often provide the best value since their struggles with one handedness of pitcher drags down their overall cost. Platoon hitters, such as Johnny Gomes, can be great value plays when they get a start against the handedness of pitcher they thrive against. They aren't alone, however, even everyday players will see their value fluctuate day-to-day based on the hand the pitcher they're facing throws with. We'll discuss which stats are most important to look at in the hitter section of the MLB Daily Academy, but looking up hitter splits versus pitcher handedness is a must in daily baseball research. After looking over the pitcher and hitter stats it's now time to start trimming the fat. Certain pitchers will be easy cuts. The same can be said for hitters. By tiering your favorite choices for the game, it will make roster construction easier in the next step. You can break the tiers down as simply as top plays, secondary plays and bargain picks if you choose. You can break them down further as well. Tinkering is the best way to determine what works for you. Pitchers are going to be the least volatile players on daily baseball rosters. Even the truly elite hitters in the game are only reaching base about 40% of the time. Knowing where your favorite pitchers for the day are priced cheapest is a good way to pick out the best site for playing on that night. Is a certain site slow to react to a pitcher thriving thanks to an uptick in velocity or the usage of a new pitch? Is that pitcher one of your favorite plays for the night? Create teams on that site then to take advantage of the discount you'll receive using him there as opposed to elsewhere. Now that you've done the legwork, it's time to start putting together rosters. In most instances, you won't be able to get all of your top picks on the same roster. Mix and match your top picks and secondary picks and see which combinations allow you to get the most top picks on one team. Perhaps grabbing a bargain pick from your tiered picks for the night will allow you to grab an extra top pick on your team. Build a few rosters and submit your favorites for the night. Remember, you've done a lot of research, so don't start second guessing yourself when it comes time to enter your rosters.